Ichiko is a hopeless case. A 32-year old with no prospects, living in a tiny apartment with her parents, occasionally crawling out into the sunlight in her consistently stained, baggy clothes. When her sister decides to get a divorce and moves into the apartment with her son, the conflict is inevitable. To be able to get her own place, Ichiko finds a job in a 100-yen shop. As it turns out, a nearby club is a training spot for a fairly handsome boxer. Masaharu Take's film is a moving story with strong turning points. This tale about boxing with life and an unexpectedly revealed will to fight, is not a sugary, stereotypical narration about a metamorphosis – the director managed to combine striking realism with emotional depth, and add a few drops of black humor. 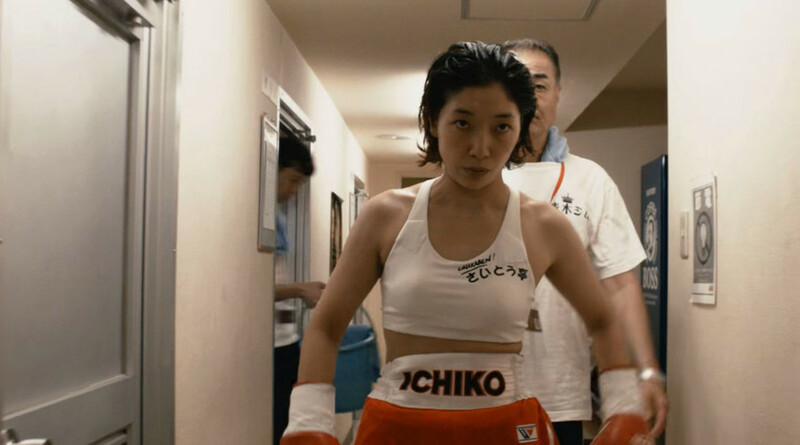 This incisive psychological portrait of the protagonist is also a diagnosis of contemporary Japanese society, and the wonderfully executed boxing scenes allow to experience the protagonist's sensations in an almost physical way. The project received a Grand Prix in the Yusaku Matsuda script competition, and became a sensation of Japanese independent cinema. During the casting, the filmmakers were looking for an actress who can combine lyricism with boxing energy. Sakura Ando, chosen from among over 700 candidates, once again proved her masterly skills. On the year of the premiere, she received most of the industry awards, with Variety calling her a "rare performer worthy of comparison to Japan's all-time greatest actor, Toshiro Mifune." The film was submitted as the 2015 Japanese Oscars candidate. Born in 1967, graduated from Meiji University. Worked as an assistant director with Takashi Ishii and Yoichi Sa. He debuted in 2007.